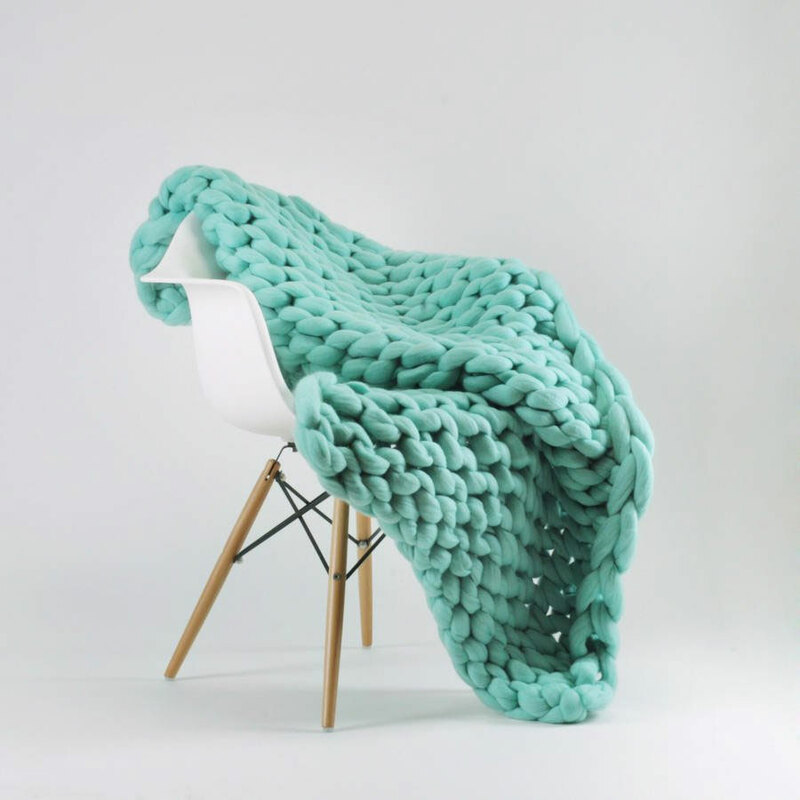 We've seen chunkity-chunk chunky knit blankets before, and through her Ohhio design shop Anna Mo continues the trend with her own inviting series of braided merino wool cuddle-uppers. 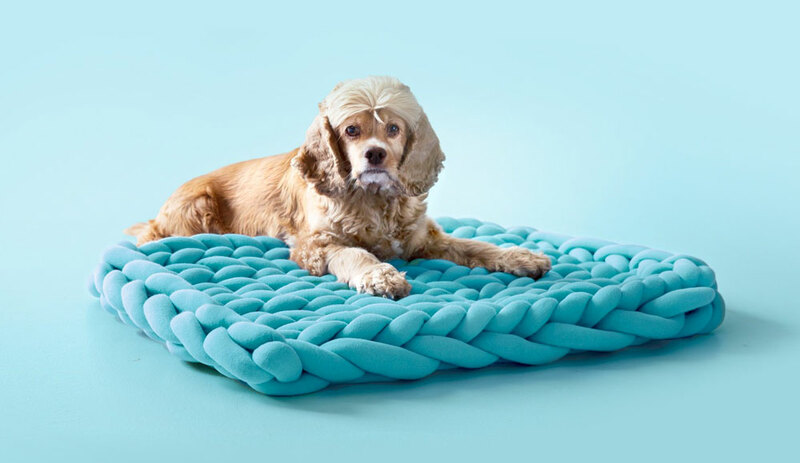 Ohhio also knits fat yarn and oversized stitches into scarves, hats, bath mats, and pet beds. Almost any of the creations in the Ohhio store would make a master giver out of any of you dudes looking for gifts for your girlfriend. 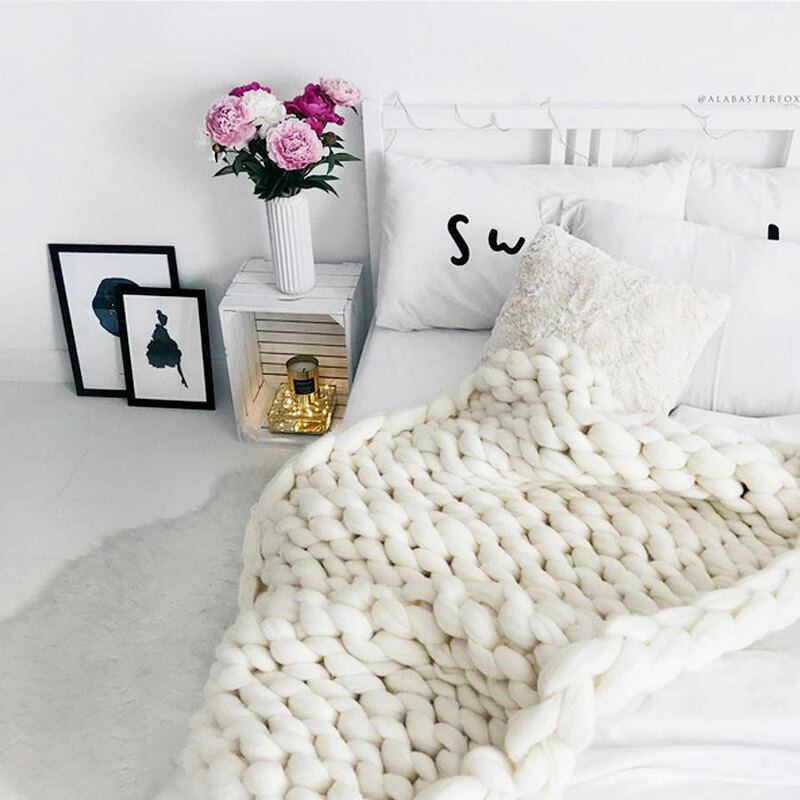 Ohhio Blankets come in various sizes, as well as DIY kits that include all materials and instructions you need to make your chosen wooly cloud of warmth and softness. 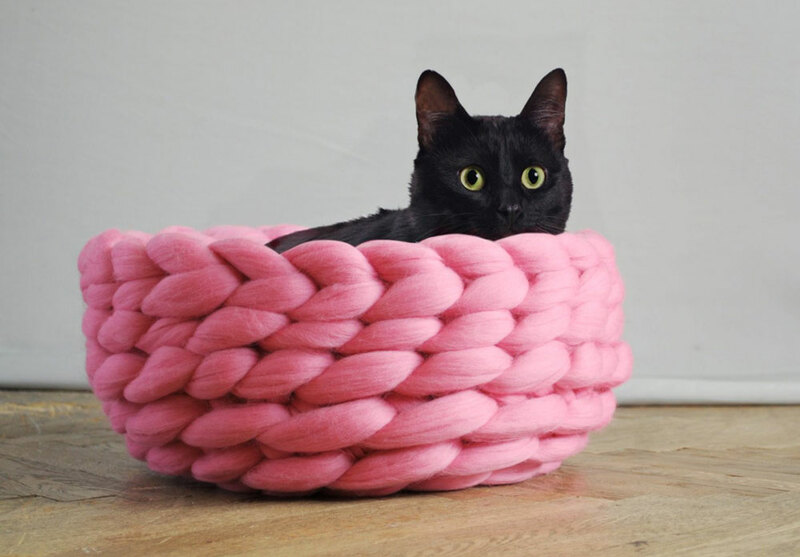 You can also buy just the giant balls of yarn from Ohhio and let your imagination knit wild. Given the price though, best to keep it locked up, lest your cat's imagination decides to have a go at it.